Offering you a complete choice of products which include maize starch, liquid glucose, dextrose monohydrate, malto dextrin, sorbitol and modified starch. 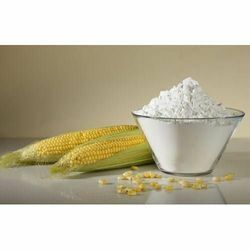 Maize starch chemical formula (C6H10O5)n also know as Corn starch or flour is a fundamental ingredient in most of the packaged food and industrial products; it is extracted from the corn kernel and has a distinctive appreance and feed. Maize starch in natural ,modified, pregeletanised and dextrinised forms provides viscosity, texture and other desired properties to all types of food & paper, products from canned chilled frozen to microwaveable goods, dry mixes and extruded snacks. Practically every industry in existence uses starch or its derivatives in one form or another. Maize starch is most commonly used as a thickening and gelling agent for puddings sauces soups, etc it provides an economical and reliable substitute to other ingredients which are unstable at higher temps. Corn starch helps in achieving the right degree of clarity structure and mouth feel. It is also used to achieve chewiness in gums. They are equally useful as moulding powders and as ingredients of paste food. Corn starch is an effective binder as it allows homogenous dispersion of water in foodstuffs, and acts as a stabilizer. It is an ingredient of choice (along with other modified starches) in the manufacture of soups salad dressings bakery products, various desserts. It is a binder and filler or choice in the pharma industry for tabletting on the application. It acts diluents disintegrating agent. Native starch is used to provide dry strength and as a surface improvement aid in alkaline papermaking, starch is a critical part of wet-end sizing it is an integral part of micro-particle retention and works as a binder water holding agent and carrier for surface sizing chemicals and other functional additives. In the manufacture of textiles starch keeps the yarn straight and strong significantly improving its ability to chemical’s withstand the stress of weaving. Native corn starch forms the basic ingredient for all corn sweeteners. A variety of enzymatic and acid-catalyzed processes are used for the manufacture of corn sweeteners which are used in food to provide clean sweet taste retain moisture, clean sweet taste retain moisture control crystallization and freezing points, contribute to texture provide gloss maintain colour inhibit spoilage and modified density. Corn starch is an economical fermentation feedstock to produce many organic chemicals The most widely know bio product is ethanol it is made by fermenting sugars produced from corn starch ethanol produced from corn starch promised a renewable source of fuels for care and other engines with environmental advantages. Liquid glucose is used in almost every type of confection, particularly hard candies. It is primarily used to control sucrose and dextrose crystallization in confections. Candies made out or sucrose alone are subject to Crystallization and may crumble. Liquid glucose raises the humectancy levels in certain baked good which in turn increases the shelf life of these products. The icings produced with liquid glucose have a more brilliant sheen and appearance and provide a glaze for the products. In the food industry, Dextrose Monohydrate is used in the production of baked goods, candy and gum, creams and frozen dairy products (like some ice-creams and frozen yogurts), beverages, jarred and canned foods, cured meats and also energy drinks. It's also a common component of complete nutrition drinks and infant formulas. Interestingly, Dextrose Monohydrate has preservative properties and is often used in fruit and vegetable processing to help keep them fresh. It's also used in dehydration. One advantage of Dextrose Monohydrate as a preservative is that it doesn't alter the natural flavor of the food, especially compared to using sugar, another useful preservative. Fermentability: Dextrose being a monosaccharide, it is unsurpassed as a carbohydrate source for yeast and other organisms. It provides energy to the cell and many by-products, in addition to carbon di oxide and ethanol. When used in baking and brewing the fermenatation begins instantaneously and proceeds rapidly. Glucose-D: Dextrose functions as a good oral rehydrating agent and once enriched with Vitamin D and Calcium it provides easy assimilation and replenishment of essential nutrients. In the body. It's a ready source of energy to fight tiredness and refresh you instantly. Stability: Dextrose cannot invert or change on exposure to mild food acid it helps to extend the shelflife of many food products. Bulking Agent and Carrier: Dextrose works to keep dry food mixes and powdered beverage drinks free flowing. 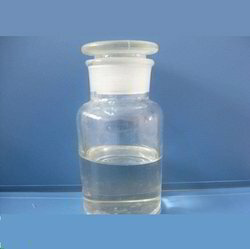 Tableting: Dextrose is highly suitable for high speed direct compression tableting. It prevents sticking to the die surface during the tableting process. Malto Dextrin is an intermediate product obtained during the controlled hydrolysis of starch. It is product midway between starch and glucose, when hydrolysed by enzymes, typically by Bacterial alpha Amylase and then additional conversion to get the desired DE which ranges between 4 to 30. The product thus obtained is refined by clarification, carbon treatment and ion exchange and then spray drying to a moisture level of 3% to 5%. Maltodextrin is a white powder and is extremely bland in taste with very little sweetness. When made into a solution, it exhibits very high viscosity although it does not hold water in itself. Its bland taste makes it inert on other food flavours and colours. It is a good agent to ensure dispersibility in cold water maintaining clarity and eye appeal. Maltodextrine acts as flavouring, bodying, drying and stabilizing agent in chocolate drinks, flavour powders, citrous and coffee powders and also improves theshelf life of the product. It can also be used to replace a portion of protein whipping agent in aerated beverages and is choice bulking agent in many puddings’ soups and frozen desserts.Its addition to cream gives it a thicker mouth feel. In Indian sweets it is used to at the time of making of Khoya/Mawa from milk as it improves the quality, softness and texture. It is also excellent in partially replacing cane sugar in sweets. The sweet taste of Maltodextrine is a closer approximation to the laste of sugar which make it ideal for use in sweetening teas, coffee and powdered soft drink also. Maltodextrin is primarily a product for the food industry. A dairyman uses it in infant milk foods as stabilizer, bodying agent and flavour carrier. A food technologist uses it in coffee, powders and whiteners, citrus powders, chocolate drinks and flavour powders. A baker uses it in fruit leathers, gronala bars, cream type fillings, icings and cakes. He uses it in bread and meat as a moisture holding agent. A confectioner uses it in lozenges for binding, plasticizing,nuts and snacks coating and candy coating. 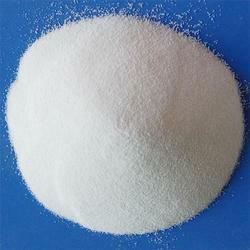 Sorbitol, also known as D-sorbitol, D-Glucitol or D-gluco hexanehexol, is a hexahydric sugar alcohol. 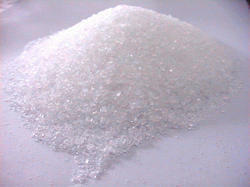 Sorbitol is commercially manufactured by the high pressure hydrogenation of dextrose solutions using a nickel catalyst. 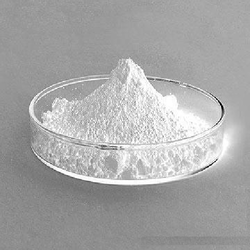 Sorbitol is a Lyophilic, non toxic, non irritant, stable and chemically inert, resistant to heat, resistant to acid and is non fermentable by micro organisms. Modified Starch are derivatives of starch obtained by modifications intended for specific applications to respective industries. Physically modified and Chemically modified to suit the consumer's exact needs. It also has good penetrating capacity inside the paper layer which increases the strength and smoothness of paper. It gives almost zero porosity during surface sizing due to uniform thin film formation. (Based on paper thickness, 20 – 40 kg of this cooked starch can be applied over 40,000 m2 area of paper without porosity). 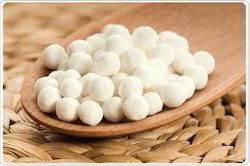 Tapioca Starch powder is a fine white powder having a bland taste and is odourless in nature. It is obtained from root tapioca. It has a higher viscosity characteristics. 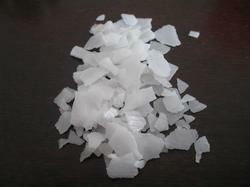 It is mainly used in food & paper industries. To be stored on above ground on clean, dry & dust free godown. Maintain ambient temp. Keep away from water, direct sunlight & flames. The crystalline form of pure α-D-Glucose of crystallization. 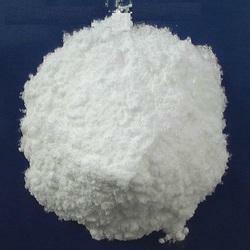 It is Produced from high DE syrup by crystallization above 60 degree centigrade. The anhydrous form of D-glucose, a natural monosaccharide and carbohydrate. Dextrose serves to replenish lost nutrients and electrolytes. The agent provides metabolic energy and is the primary ingredient in oral rehydration salts (ORS) and is used in intravenous (IV) fluids to provide nutrients to patients under intensive care who are unable to receive them by the oral route. Solutions containing dextrose restore blood glucose levels and provide calories and may aid in minimizing liver glycogen depletion and exerts a protein-sparing action. Dextrose anhydrous also plays a role in the production of proteins and in lipid metabolism. A noteworthy contribution to the field of medicine, the IP/BP/USP grade Anhydrous Dextrose is used in intravenous injections vital for preventing dehydration. In many critical conditions, especially during comas, operations, excessive blood loss due to injuries, wherever oral administration is not possible and is very useful in cases of Diarrhoea & Heat strokes. Dextrose 5%, 10% or 20% helps restore fluid energy equilibrium while a normal saline solution is for prompt compensation of primary water electrolyte deprivation. 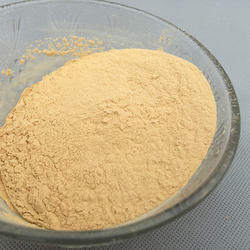 Yellow Dextrin is manufactured by partially hydrolyzing Starch, using the dry roasting method in the presence of a catalyst: The dextrinisation chemically reduces the starch molecules into smaller components. Yellow dextrin has low viscosity and is very sticky and hygroscopic in nature. Used in the foundry as a binder for cores. Yellow dextrin helps in increasing dry strength at the same time being completely soluble in water. This product also finds its application as a binder for mold and core washes. Its binding abilities’ make it an essential ingredient in various other applications, such as Adhesives, Gums, Pastes Pyrotechnics. Excellent binding agent for sand cover in foundries. Foundries: Gives high green bonding strength to remain intact during handling. 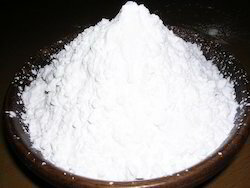 White Dextrin is manufactured by partially hydrolyzing starch, using of a catalyst. The dextrinisation chemically reduces the starch molecules into smaller components. 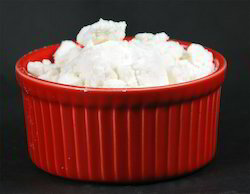 White dextrin is white in colour but with reduced viscosities. it’s cold water solubility’s rang from 25% to 65% White dextrin produce;s a light colour ed paste that set to soft but a definite gel. 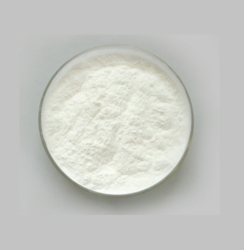 The higher solubility white dextrin. Can be used at much higher concentration to yield very soft gels. Its solution is a half –transparent plaster. White dextrin has good glutinosity and resolution. It as an indispensable excepiant for medicine food and health care industry. 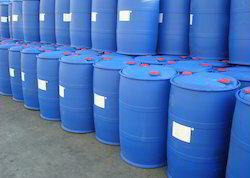 It is also used as an additive in the certain applications for the manufacture of Textile, Adhesive and Dye’s. White Dextrins have a appearance of the native starch and have solubilities varying from 25-80%. It forms a soft, light coloured get on cooling.Yellow Dextrins ranges in colour from pale amber to dark brown and have high water solubility. They are used to produce high solid concentration pastes. They give very tacky solutions. We are offering Caustic Soda Flakes to our client. Looking for Starch Allied Products ?